Earn $25 for PWYBA and Fulfill Your Volunteer Hours! A Free test drive at Chevrolet of Wayzata benefits you AND the association! A Win/Win for You and PWYBA! 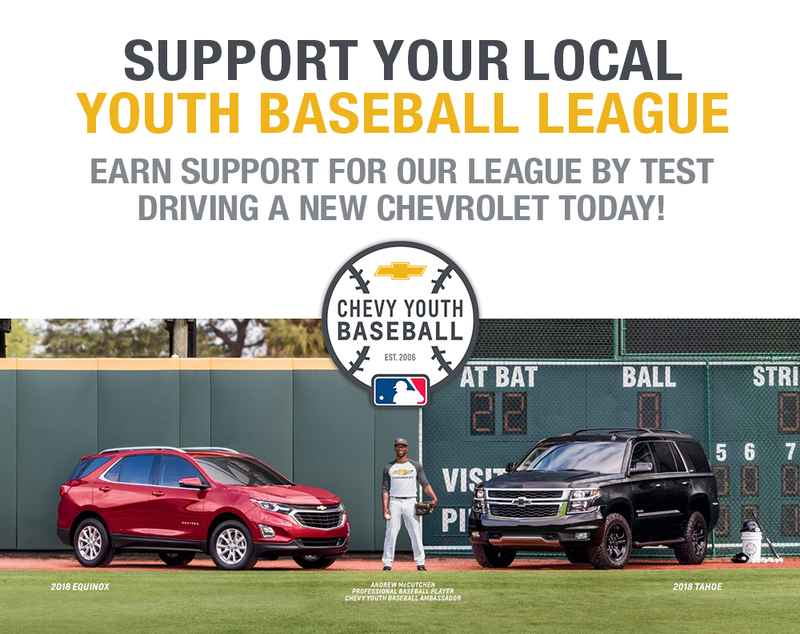 Test drive a new Chevrolet vehicle at Chevrolet of Wayzata to earn $25 for Plymouth Youth Baseball Association AND fulfill your volunteer requirement at the same time!! Deadline for Test Drive is May 4, 2019. This opportunity is only available and limited to the first 20 people to sign up.